Blog > Cannabis Education > Marijuana Laws > What Do Citywide Cannabis Bans Mean For You? What Do Citywide Cannabis Bans Mean For You? Under Proposition 64, Californians over the age of 21 can use marijuana recreationally. Under this same law, however, local jurisdictions have the power to regulate the cannabis industry within their territory as they see fit. Sometimes these strict regulations border on being ridiculously obstructive, making it harder for cannabis industries to thrive and for patients to receive their medical cannabis in their city. 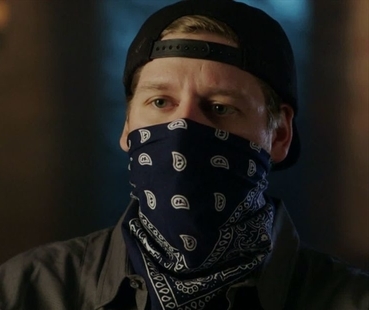 What If You Live in an Anti-Pot City? Almost immediately after California voters approved Proposition 64’s recreational cannabis use, many city councils passed moratoriums on the sale of recreational cannabis. 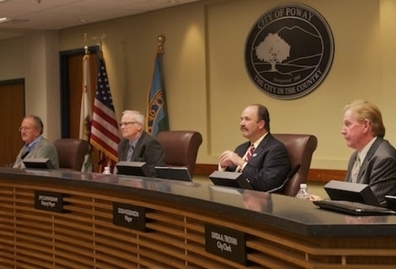 One SoCal city with a strict anti-pot history is Poway. This small, rural town in unincorporated San Diego County recently banned all cannabis dispensaries by a unanimous vote, citing safety concerns. 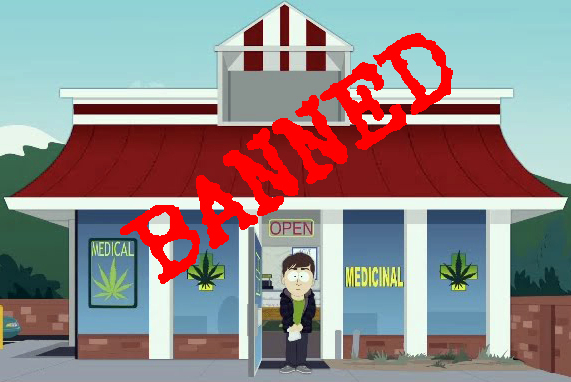 Like many others, this specific ban prohibits all marijuana storefront dispensaries, collectives, cooperatives, cultivation, delivery, manufacturing, and storage of any type of cannabis. Even worse, outdoor growing is banned. Luckily, this ordinance does not prevent citizens from using medical cannabis at home. So Poway mmj patients will still be able to grow up to six plants per person in their homes. But other cities aren’t as forgiving. Those that attempt to restrict cannabis production are seeing a backlash, as in the case of the City of Fontana in San Bernardino County against the American Civil Liberties Union (ACLU). The ACLU filed a suit against Fontana which, “adopted an ordinance designed to make it virtually impossible for Fontana residents to enjoy the rights conferred on them by [Proposition 64].” Fontana enacted these purposefully restricting regulations to keep their residents safe, according to mayor Acquanetta Warren. The city currently bans all cannabis dispensaries, making it extremely hard for qualified residents to get the medication they need. If you want to start growing cannabis in Fontana, you’ll need to apply for a $400 permit. If that wasn’t bad enough, the city also requires growers to pay for a warrantless search of their homes and prohibits people with criminal records from growing. Essentially, Fontana became the poster town for prohibitionist-type laws clearly designed to make it hard for people to grow cannabis and get well. By denying marijuana businesses from establishing themselves, city council members prevent the people who need it the most from obtaining their medicine in the name of protecting the town. Not only are local elected officials making it extremely difficult for medicinal patients to obtain their mmj products, but they’re also sabotaging their local economy’s growth. Thriving economies in other pot hot spots should’ve at least piqued the interest of elected officials, but financial incentive wasn’t enough to dispel their misguided fear of creating an impractical framework for cannabis business to thrive in their town—with resulting consequences. When storefronts are banned, there’s no competition for black market operations. The cannabis demand is so high that there’ll always be a distributor wherever needed for the right price. Black market dispensaries may provide residents with cannabis, but who knows if their products are even quality, clean, or even real cannabis. Without regulation, mmj products run the risk of being mislabeled or not labeled at all, preventing users from determining an accurate, consistent dosage for their illness. Inaccurate or lack of product info and lab testing also make it easier for first-timers to take too much and swear off cannabis altogether. Without local testing facilities, growing sites and proper regulations, mmj patients may ironically resort to risking their health by buying from dispensaries that don’t test their products. When these places aren’t testing for pesticides or mold, the city dumps the burden of quality control on the patients buying from these black market operations. It’s well-known that inhaling pesticides and mold can cause respiratory damage or worse. Often mmj patients aren’t sure how to identify mold because cannabis education isn’t as mainstream or prevalent as it should be. Banning pot and casting it to the shadows only prevents us from truly understanding it and using it wisely. Another problem when you restrict mmj users to growing their own weed? They aren’t aren’t naturally adept at growing organic cannabis, nor do they have the resources to do so. Growing indoors requires time, specialized knowledge and equipment that can be quite costly. When city council members like those in Poway cite driving accidents and overall crime rises in legal mmj states, they’re willfully cherry-picking points to support their argument. Multiple studies cite that cannabis has negligible effects when it comes to accidents on the road. Yet there’s no significant link between cannabis use in mmj states and increase accidents. The fear of increased accidents and the city going to hell is simply alarmist rhetoric that does more harm than good when protecting elected officials’ constituency. The demand for cannabis is too high, making it a haven for pot producers, legal and not. This large request for cannabis makes it nearly impossible to enforce without proper regulations. Law enforcement won’t be able to close shops as quickly as they want; in the time it takes to close one illegal dispensary, another, or the same one, pops up elsewhere. This waste of tax dollars continues in the name of protecting its residents, when in actuality these laws do a disservice to residents, not just mmj patients, who’d benefit from legalization. With all these restrictive laws, you can still easily receive a medical marijuana recommendation from a licensed physician. An online telemedicine service like NuggMD makes it very easy to obtain your cannabis rec and/or card by answering a few simple questions about your health history. Then with your rec you can order products via Nugg’s cannabis delivery. California’s mmj laws allow a less than an ounce of cannabis in a closed container for personal use to travel freely on public roads. Essentially, delivery services bypass these strict dispensary laws, bringing cannabis to patients in cities that have enacted dispensary bans. City-wide medical marijuana bans are nothing to fear. 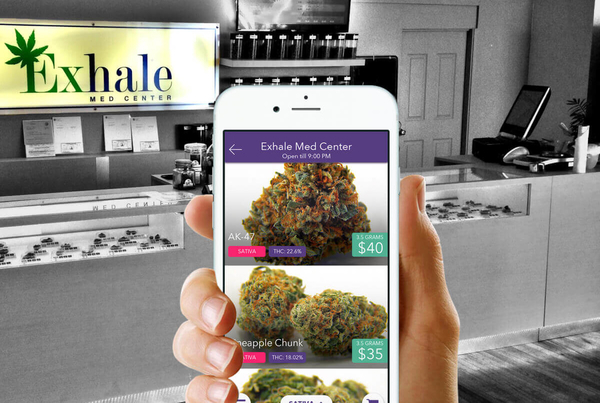 Even if you’re unable to visit a local dispensary due to restrictive local laws, delivery services in surrounding communities or within your own community are a discreet and safe way to get your medical cannabis products delivered right to you without city officials knocking at your door. Live in a banned city like Poway or Fontana? Let your voice be heard; contact your local officials, telling them your history and how cannabis, medical or recreational, has improved your life.